A suicide truck bomb hit the entrance of Somalia's biggest port on Sunday, killing at least 29 people, police said, an attack claimed by Islamist al Shabaab militants. The fighters said they were trying to disrupt protracted parliamentary elections - part of efforts to rebuild the fractured nation after decades of war. The three-month vote is due to end on Dec. 29. 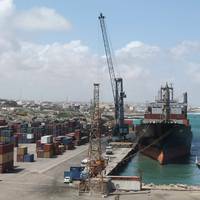 Gunfire rang out after the blast at Mogadishu Port, Mohamed Hussein, a worker there, told Reuters. Two others said work had been halted and staff sent home. 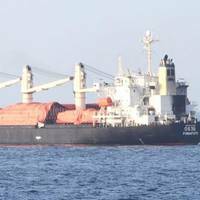 International Maritime Organization (IMO) is continuing its work to support sustainable maritime development in Africa by participating in the opening of the African Union Extraordinary Summit on Maritime Security and Safety and Development in Africa, held in Lomé, Togo (11-15 October). The Summit is addressing all aspects of maritime safety and security governance and is expected to conclude with the adoption, by African Heads of State and Government, of a Charter on Maritime Security and Safety and Development in Africa. Somali al Shabaab fighters have seized a small port in the semi-autonomous Puntland region, the latest sign of a resurgence in activity by the Islamist militants in the Horn of Africa nation. A series of offensives last year by the African Union force AMISOM and the Somali National Army had driven al Shabaab out of major strongholds in the southern region of Somalia. At the time, officials said some al Shabaab fighters had moved north to the Puntland region, beyond AMISOM's area of operation. In recent weeks, al Shabaab has also retaken smaller towns and launched deadly attacks in the southern region. "Al Shabaab fighters with several boats captured Garad town," Hassan Mohamed, governor for Mudug region of Puntland told Reuters, adding that the attack took place on Monday. Malaysia is proposing a joint peacekeeping force to help rebuild trust among Southeast Asian countries after bitter arguments over their handling of China’s territorial claims in the South China Sea, reports WSJ. 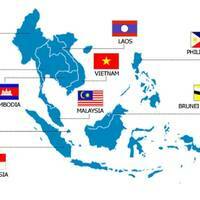 Members of the 10-nation Association of Southeast Asian Nations (ASEAN) — not all of which have interests in the South China Sea — have widely disagreed in recent years over how to deal with Beijing. The Philippines and Vietnam have accused China of aggressive behavior. Catherine Ashton, High Representative for Foreign Affairs and Security Policy/Vice-President of the European Commission, hosted a meeting on Tuesday in Brussels at the European External Action Service, with a number of African countries, to examine maritime threats to Africa and to discuss areas of future cooperation. "The European Union is the main supporter of African efforts to develop capacity to manage security across the continent. Maritime security off the coast of Africa is a key issue of shared concern for both the EU and Africa and we share an interest in urgently countering this threat which undermines the social, economic and security fabric of the African nations affected," said Catherine Ashton. 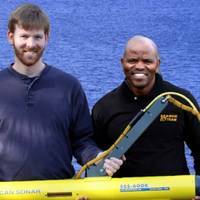 JW Fishers inform that Bancroft Global Development is using its side scan sonars to locate and make safe Somalia's harbor in the capital city, Mogadishu, which was heavily mined during the civil war in that country. 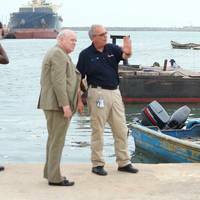 Somalia's Transitional Federal Government (TFG) launched the Mogadishu Port Rehabilitation Project and assisting in this work is Washington-based Bancroft Global Development, an organization that receives some funding from the United Nations and the US State Department. Attendees at the IQPC Offshore Patrol Vessels Middle East 2013 conference agree that what happens at sea in the Arabian Gulf and the Middle East has implications that ripple, or more correctly rumble throughout the globe. 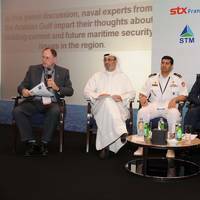 Speakers and panelists underscored the importance of maritime domain awareness and security for military, commercial, legal and environmental reasons, and how they are all connected. The IQPC Offshore Patrol Vessel conference at the Jumeirah at Etihad Towers in Abu Dhabi is being attended by naval, coast guard, security, and other maritime and military professionals. The EU has announced that it will provide additional support of more than €124 million to the African Union Mission in Somalia (AMISOM). This new financial support by the EU will cover costs including troop allowances for all AMISOM soldiers, police and civilian components of the mission, as well as operational costs of the mission headquarters in Nairobi, Kenya. This support will be critical in allowing AMISOM to continue to fulfill its United Nations Security Council mandate to carry out active peace support operations across Somalia. Andris Piebalgs, EU Commissioner for Development said, “A safer and more secure environment in Somalia will benefit the Somali people and development of the country as a whole. 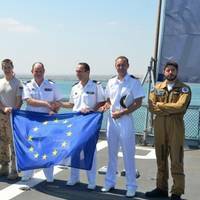 EU Naval Force welcomes French frigate FS Courbet to the EU Naval Force's operation Atalanta off the coast of Somalia. After navigating the Suez Canal and Bab-el-Mandeb strait, the French frigate FS Courbet has joined the EU Naval Force to relieve the FS Surcouf which has been on station since December 2012. The sister warships met in Djibouti for the handover. FS Courbet departed from her home base in Toulon, France, with a Panther helicopter from the French Naval Aviation 36F Flottille and a Vessel Protection Detachment (VPD) from Estonia on board.